The Brazilian Origins Of "Sympathy For The Devil"
The Rolling Stones album "Beggar's Banquet", which turned 50 and gained a remastered edition last month, has an exceptional place in the band's discography. It's also special for Brazilian Rolling Stones fans because its opening track "Sympathy For The Devil" was inspired by samba. 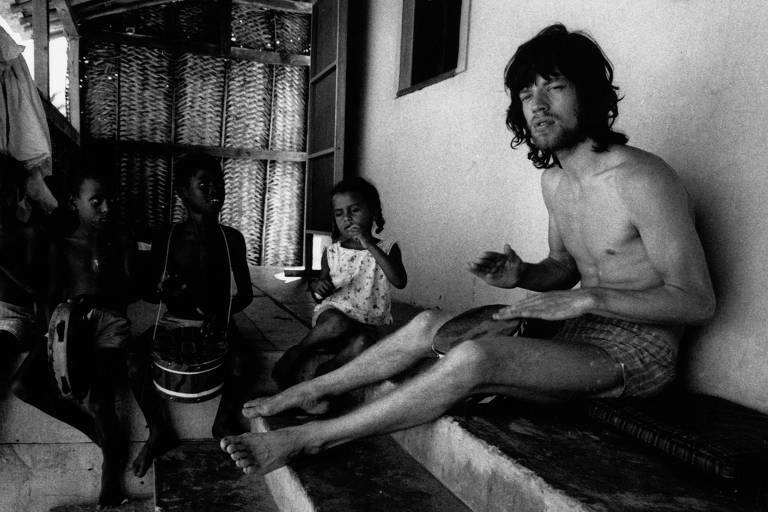 Mick Jagger spent some time in Rio de Janeiro in Bahia on January 1968, when he attended popular festivals and Umbanda sessions. "We spent days laying on the beach or playing with children from a nearby house. We played hand drums with candomblé worshippers, "said Jagger during an interview for American magazine Esquire, the following year. He also talked to Brazilian magazine Manchete, on January 1969. "We spent a long time there [Bahia]. We spent every night playing Brazilian music until dawn, and we played mainly hand drums. Such great people." He called 'Sympathy For The Devil" a "samba with a strong and steady rhythm." In 1975, during another visit to Brazil, Jagger told Brazilian journalists, "Yeah, it's samba, you? Not in a formal way, but for me, it is. I don't care if it doesn't sound like a 'real' samba." On 1968, Jagger arrived in Brazil with girlfriend Marianne Faithfull and her son, Nicholas. After spending time in Rio, Salvador and Itapuã, he ended up at Bahia beach Arembepe, where some photographs showing him playing the drums remain. It's possible that "Sympathy For The Devil" doesn't sound samba-like to Brazilian listeners because the band used African musicians for its studio recording.